Wine critic Huon Hooke has just put up a post on Great Value Chardonnays. 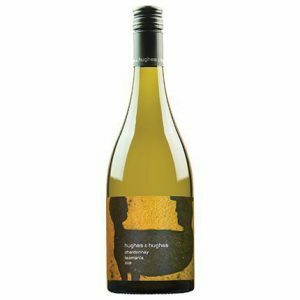 He was excited to report that a very moderately priced Tasmanian chardonnay from the Derwent Valley, the Hughes & Hughes Chardonnay 2018 ($34) scored a gold ribbon. Such impressive accolades for a new winery would be surprising if it were not for the expertise and experience of the talent behind the venture. Jonathan Hughes had a seven-year stint as assistant winemaker at Moorilla, the David Walsh owned winery on the grounds of MONA, before establishing the Mewstone Vineyard in 2011 with his older brother Matthew, a former banker. It’s situated on the banks of the D’Entrecasteaux Channel in the tiny hamlet of Flowerpot. Recently expanded to a total of 3.5 hectares, the Mewstone vineyards are mostly comprised of Pinot Noir, but also include some small plantings of Chardonnay, Syrah, Riesling and Sauvignon Blanc. The Hughes & Hughes label was started as a second range to allow Jonathan to be “more daring in his winemaking endeavours,” which are informed by styles and techniques picked up from an international career that involved working for top winemakers in Central Otago in New Zealand, Barolo in Italy and Okanagan Valley in Canada. Wine and art are my two big passions and I think they complement each other really well. I love everything about wine, and especially the stories about the people who make it. Top winemakers are as fascinating as great artists! Both care passionately about what they do and want to make a difference. In my blog posts I try to give you a taste of what the best minds in the wine world are thinking and doing. Heathcote Shiraz – What makes it so special!